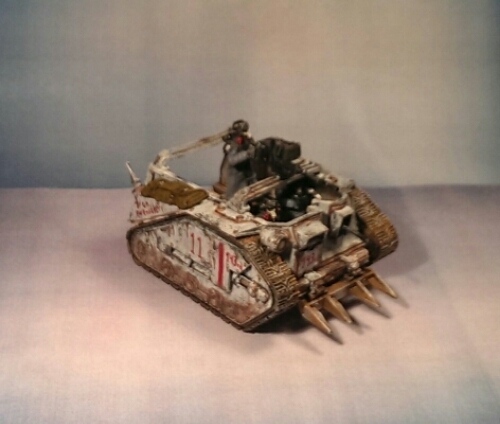 If you caught sight of it on my first centaur it had the text “Iron Grenadiers” on it as well as the squad marking 11. The name comes from these guys. 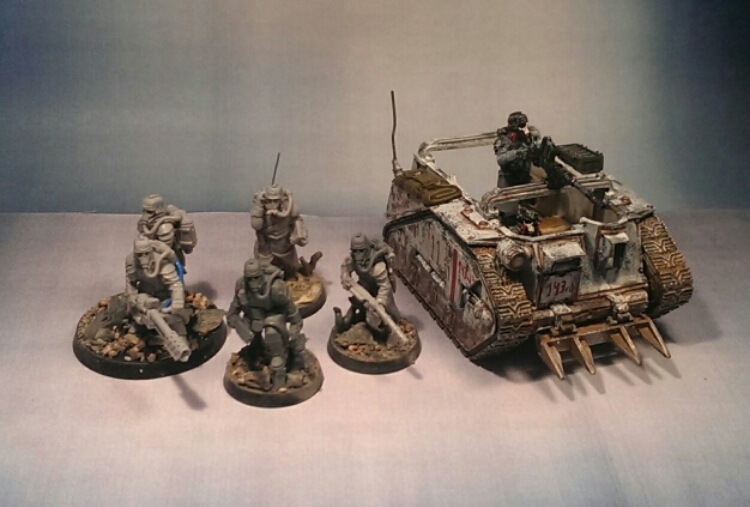 Drafted army list, now getting it assembled. Nearing completion on the centaur. Got the crew painted today. Holding back on the grenadier squad as I want to read the books first. Been enjoying testing out weathering techniques on white armour. Yup, white. For the attentive you’ll remember that I originally planned green but a mate changed my mind and boy am I glad for that! So my centaur is ready for paint and I once again started looking through my WDs for inspiration. I have a semi complete collection from issue 206 to it went over to the weekly version. 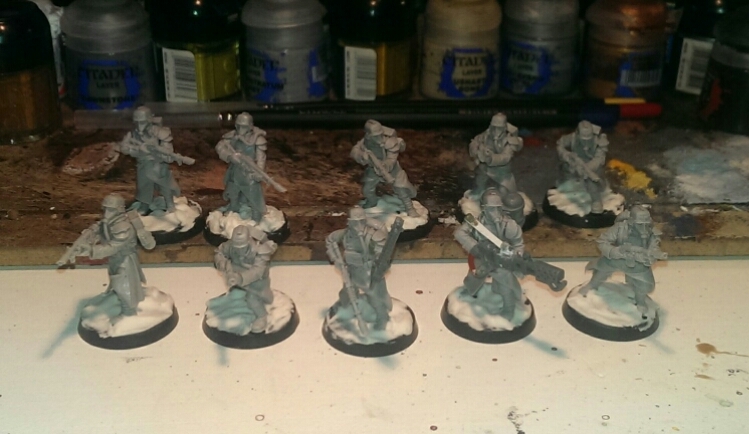 While I’m doing the basecoats on the centaur I started on the rest of the first squad. In my quest for that perfect winter base I’ve gotta say it is getting better and better at least. This is my fourth version. Participated in a competition over on Chaos Dwarf Online, competition details here. In short it’s taking a chaos dwarf out of his comfort zone.